This little utility is VERY basic. It can basically can record mouse movement and clicks, and keyboard input. You can record a task, save it to a file, open an existing recording, and play. There are some basic options to do with ‘Play Speed’ and number of repeats. There are pros and cons in saving the macro in .rec file or compiling it to an .exe file. Once compiled into an EXE file, you can run the macro without TinyTask. However, the play speed and repeat count/continuous playback option are hardcoded during compilation and can no longer be changed. If you save it into a .rec file, it requires TinyTask to run but you can set the play speed and repeat count/continuous playback. Let’s say you have printed a bunch of PDFs to a folder, hopefully using one of the techniques described in my previous two posts (links below), and now you want to rename them to match the data exported from a Revit schedule? Create a Revit schedule with all the data you need. Now, open the cool excel spreadsheet that I’m providing here for download. This file works for 3 columns of data. Basically, it just joins the data from the 3 columns into one cell (and adds some hyphens and brackets). Open the exported Revit schedule in Excel. You will need to choose file type – ‘All files’ and go through the steps to convert to the schedule to a spreadsheet. You will notice that the 3 columns have been joined into one in Column A. Copy the data from Column A and go to a new blank worksheet (can be in the same file). Paste the data using the ‘Paste Special’ command and choose ‘values’. This data is now ‘clean’ and can be used for renaming purposes. Copy this ‘clean’ data into a Notepad txt file and save as whatever you like. Sample file for download here. This TXT file is now used in the Advanced Renamer program. Install it if you haven’t already. Then click ‘Load List’ and select the TXT file that you made. 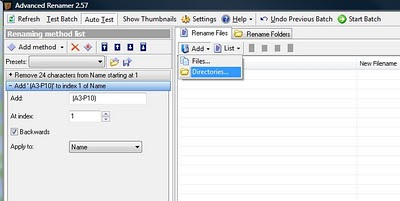 Also, under the ‘Rename Files’ box, choose ‘Add – Directory’ and choose the location where your PDFs are located. You should now see the previous filenames along with the ‘proposed’ filenames. As I said, this technique is really not for the fainthearted. But it sure has saved me a lot of time! I hope you find it useful. I hope that you found my previous post on batch printing with automatic naming helpful. But what if you want to add a prefix or a suffix to all PDFs in a set? Some firms like to add the current revision or issue date as a suffix to each individual sheet. This can be accomplished easily with the freeware program Advanced Renamer. It is available in both portable and installable versions. 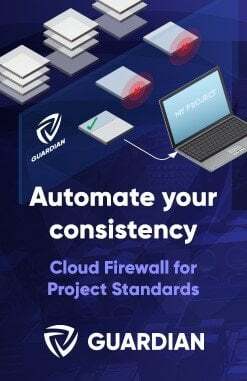 Install and run Advanced Renamer. Click Add – Directory. Select Directory and click OK.
Set the options for the Add method: Type the text you would like to add, select index 1, ‘backwards’ and Apply to Name. This will add the specified text to the end of all filenames in the directory. Click ‘Start Batch’ and you are done. 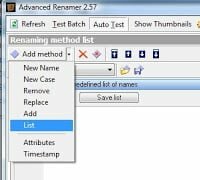 You can experiment with other ‘methods’ to do some more advanced renaming tasks. Sometimes you will want to produce a large set of PDFs where each drawing sheet is in its own PDF file. You also want the PDFs to be automatically named and created. There are a number of ways to accomplish this – here is the simple way that I use. Go to Printer – Options, and then ‘load’ the settings from the ini file you downloaded (use the little folder at the top of the window to load settings), then hit ‘Save’ at the bottom of the window. 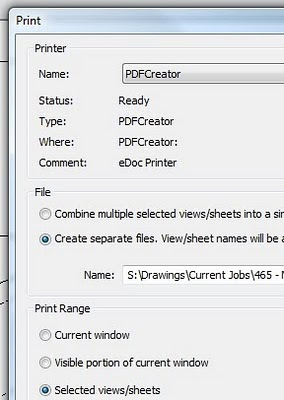 When you click ‘Print’ in Revit, each sheet will be sent individually to PDFCreator. 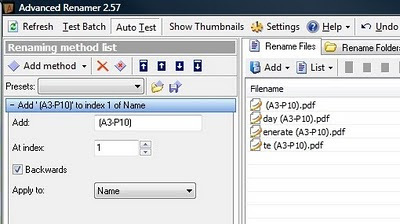 PDFCreator will then use the View or Sheet name (as per the REDMON_DOCNAME_FILE setting) to Autosave the PDFs to a specified folder – the above ini file uses C:TEMP_PLOT by default. 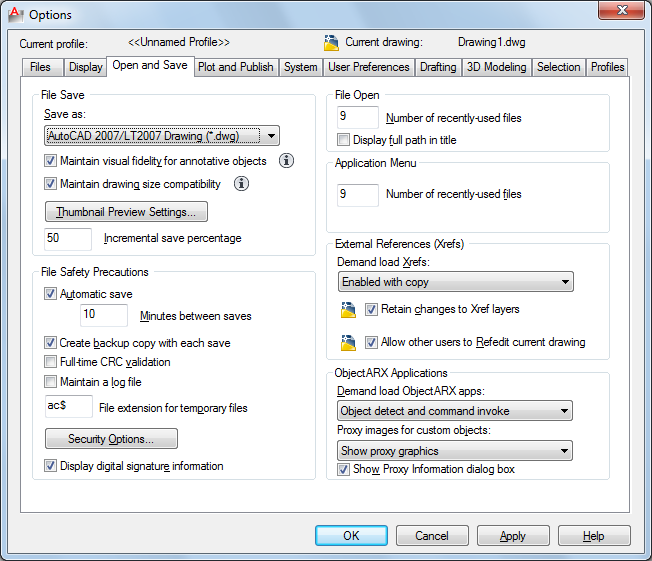 You can tweak these settings to your own individual taste – you may want to change the Autosave folder, for example. 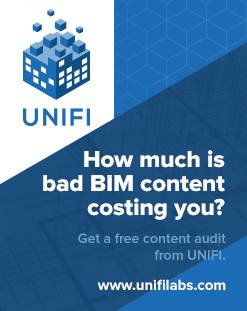 Revit wants you to work efficiently, and it wants you to maximise the value of the data inherent to the BIM model. 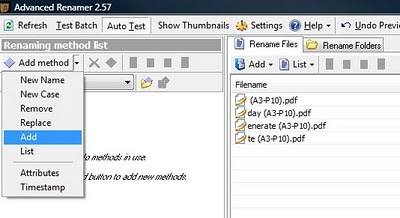 In this case, we leverage the View/Sheet name to automatically name the PDF files.